An Ohio company that expanded three years ago to Capitol Heights, MD, US Communications partnered with the IBEW Local 26, Low Voltage division on the project. 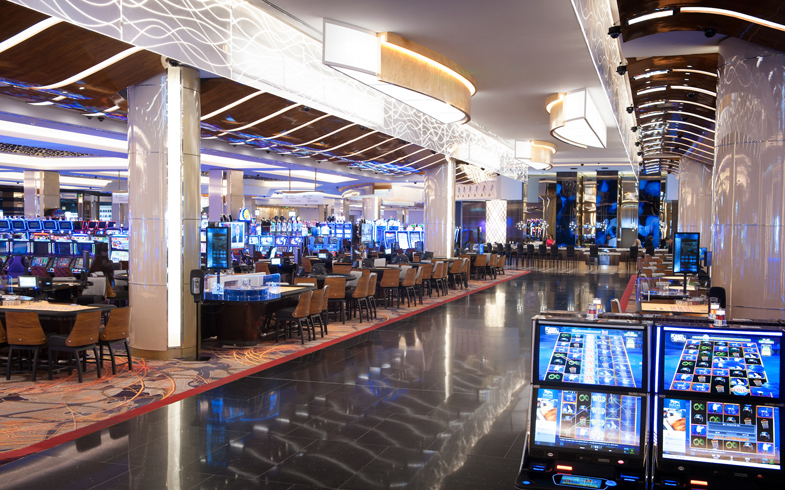 Together with additional electrical companies from IBEW Local 26, they powered and transmit data across a 3,000-seat entertainment venue, upscale restaurants and a food court, a 24-story hotel tower, and a parking garage that are part of this new casino in Oxon Hill, MD. The scope of the project was impressive: more than $4 million in materials, more than $4 million in labor, and more than 90,000 man hours. Due to the planning required, most of the effort took place over just an eight-month period. The facility opened on Dec. 8, 2016. US Communications was an excellent match for the project because of its experience at other casinos in Maryland as well as Ohio, its technical proficiency, and its professional project management skills. The company is also committed to supporting the local economy by hiring and training additional local labor and through its supply chain purchases. “In the old days, anybody could pull and terminate cable because the transmission speeds were so low,” said Mike McCloud, Director – Mid Atlantic Division of US Communications. “As things speed up, you have to be more and more proficient—and certified—to achieve the technical speeds that are going in now and are anticipated for the future,” said McCloud. US Communications employees are certified by almost all manufacturers, which require even higher standards than the typical industry certifications. US Communications manufacturer certifications carry cable warranties of transmission speeds for 25 to 30 years, covering both workmanship and manufacturer defects. Founded in 1996, US Communications offers installation as well as design-engineering consulting services. Its expert solutions include fiber cabling systems from campus and backbone design and installation to OTDR testing and certification. The company designs and installs outdoor copper and fiber backbone systems; horizontal copper and fiber cabling solutions to support desktop data, voice and video systems; and wireless data networking systems. Professionals from US Communications worked closely with Local 26 electricians, as “data doesn’t work well without power,” said McCloud. US Communications also coordinated with workers pouring concrete and installing drywall, county building inspectors examining penetration through firewalls, and the like. Operating within the regulatory framework, they worked with MGM and gaming officials, as security changed and tests were conducted. The project was a “collective cohabitation of technology,” said McCloud. Today, US Communications is seeing a demand for trained, certified cabling technicians and is offering opportunities for skilled workers through the IBEW Local 26 Low Voltage Technology Apprenticeship program. As transmission speeds rise at exponential rates, fiber will become the infrastructure of choice and is a more specialized service requiring a skilled workforce to install and manage.